I’ve outlined some effective ways below to remove collection accounts from your credit report. 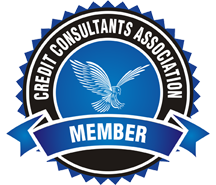 Demanding the collection agency to remove debt collections, even medical collections, from your credit report should be the first thing you try. By following the steps below, you’d be surprised how often this method can work. When I finished my freshman year of college many years ago I forgot to turn in my dorm room key. Apparently a $70 bill (wow!) was mailed to me but somehow it got lost during my move. I ended up paying it before graduating but they had already sent it to collections. The entry showed up as a ‘paid collection’ on my credit report. Here is how I got it removed: I mailed the collection agency a “goodwill letter” asking them to remove the paid collection. The best way to write an effective goodwill letter is by researching several that have worked and create your own. When a goodwill letter fails to get the debt collection removed from your credit report, the next thing you should try is the advanced dispute method.For this method you will need a current copy of your credit report. Once you have your credit report, find the entry of the collection you want removed and verify every piece of information that is listed. If you find anything that is inaccurate, note it. This method works because rather than simply disputing the entire entry, you are going to write an advanced dispute letter that lists specially what is inaccurate. After you have noted the inaccuracies you found, you will want to write a dispute letter. Using this letter, you will demand that each piece of information be corrected or that the collection be removed. This makes it more difficult for the credit agencies to verify the collection, and hopefully result in them simply removing the collection altogether. Lastly, if you’re the type of person who would rather have a professional handle it and just be done with the whole thing, I suggest giving us a call and see what we can do for you.